PlainText does the same thing for free; I’ve been using it for over a year for things like meeting notes, etc. 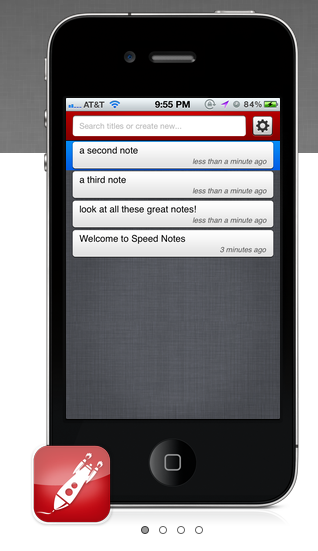 One thing I like about it over SpeedNotes (from what I can see) is a much cleaner editing interface. Have you tried SimpleNote, Matt? Hey Matt, thanks for the kind words! If you have any feedback on improvements that would make your day-to-day use smoother I’d love to hear those as well. Isn’t Pinterest a spin on Metafilter? Didn’t someone just take your idea and add pictures? At least by my (non)discerning eye, that’s what I spy.